Popular Lincoln music festival KINDfest have revealed the first wave of bands for the second edition of their annual music event. 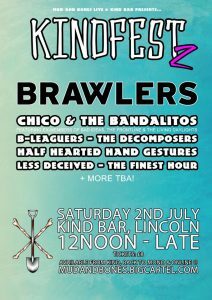 Promoters ‘Mud & Bones’ are teaming up with popular Lincoln High Street bar KIND for the event which takes place on Saturday 2nd July. 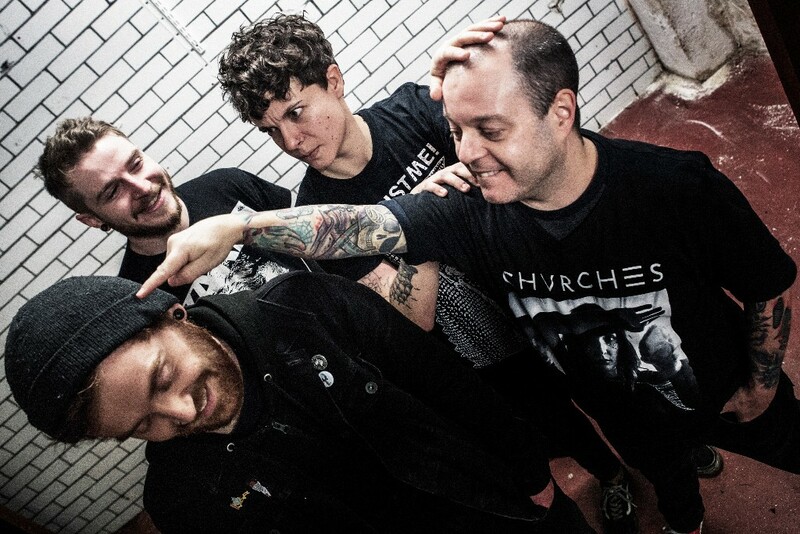 KINDfest will see home grown artists from Lincolnshire such as Lincoln indie-punk outfit The Decomposers and Grimsby folk rock group The Finest Hour sharing the stage with internationally recognised artists such as Brawlers from Leeds. 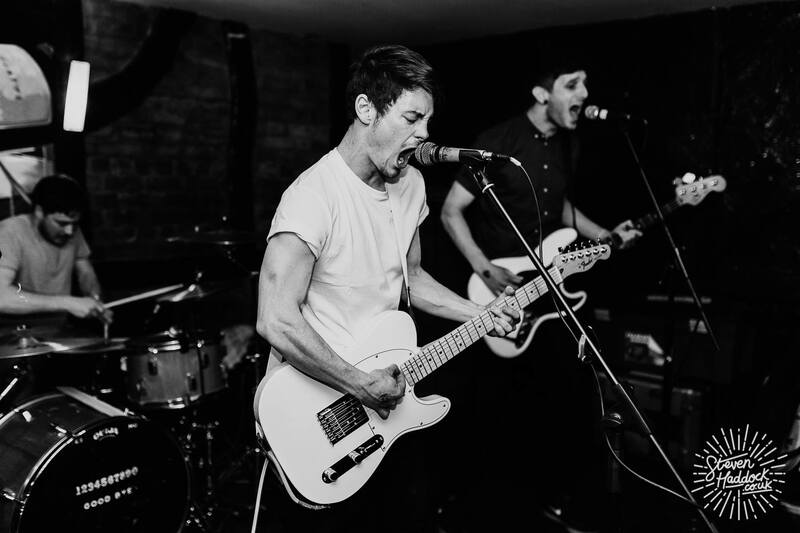 Brawlers were profiled as ‘one of the 20 hottest bands in the world’ by Kerrang Magazine and the band have since toured with Set if Off, Decade, Real Friends, Allusondrugs, Lower Than Atlantis, Mooseblood and As It Is, as well as a recent Australian stint with punk band Luca Brasi. Tickets cost £8 and are available from Kind, Back to Mono and online at mudandbones.bigcartel.com. 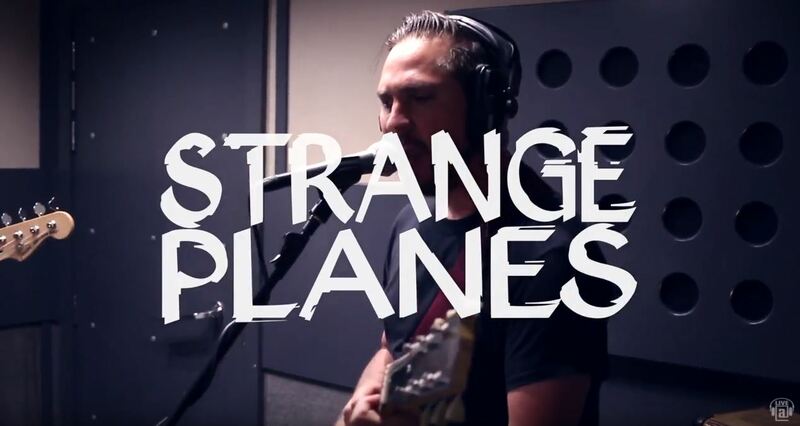 Brawlers, Chico & The Bandalitos, B-Leaguers, The Decomposers, Half Hearted Hand Gestures, Less Deceived and The Finest Hour.